Have you been wanting to add some flair and bold colors outside your office building? Maybe you’re looking to attract new customers or create a more welcoming entrance. Or perhaps you’re looking for a new way to display your business’s successes and goals inside your building. No matter what your goal is, SpeedPro Imaging Marietta can provide the visual solutions for you! 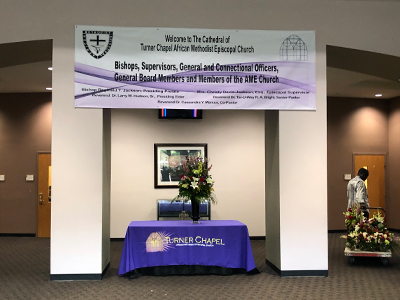 Custom vinyl banners are a wonderful addition to your business, as they can strike an appearance and display information in a stunning manner. 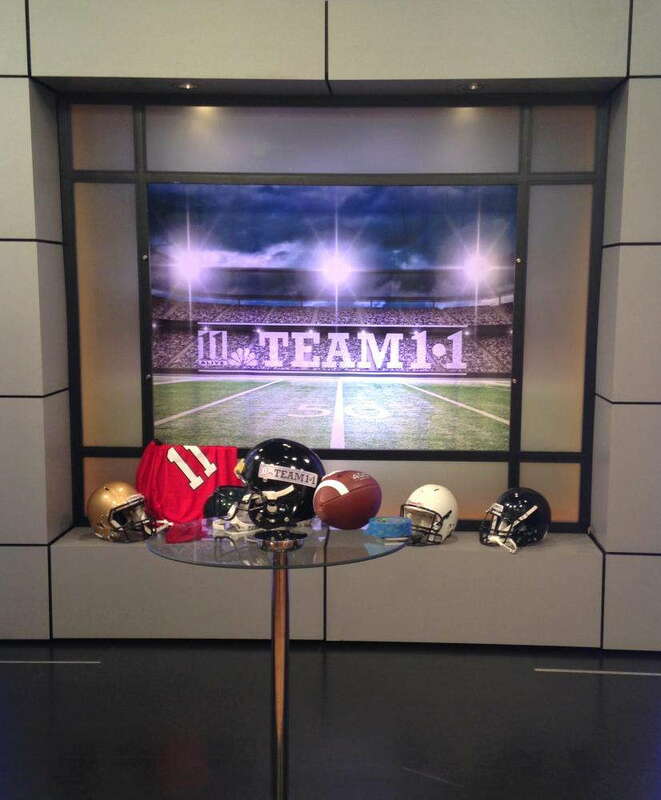 Reach out to our studio today if you’re looking for a new way to brand your company. At SpeedPro, we take pride in the visual solutions we create. Banners are one of our most highly requested items, and we aim to produce each one with the care and attention it deserves. To make it a highly impactful and powerful display, we focus on two important features — durability and versatility. To create a durable banner, we print onto vinyl material. This decision allows for a long-lasting lifespan with a thicker material that endures in all types of conditions. Our fade-resistant ink looks powerful on the backdrop of vinyl material, emphasizing bold and beautiful images. Our banners at SpeedPro are also versatile. 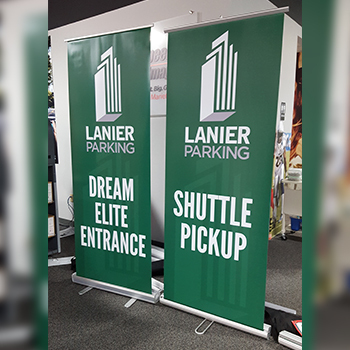 Whether you’re looking to place them inside or keep them outside for an event, our business banners can switch environments quite easily. 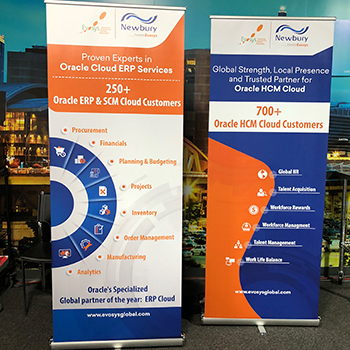 You could be lining your conference room with banners explaining your company’s success and then a few days later take them with you to a trade show event, keeping them at your display booth to further promote your brand. No matter where you or your business goes, your banners can follow. 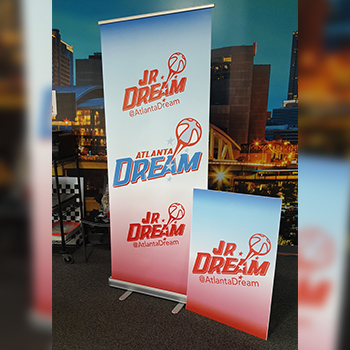 SpeedPro Imaging Marietta offers a variety of banner types, including scrim, blackout, mesh and smooth. Scrim is very popular because of its lightweight texture. 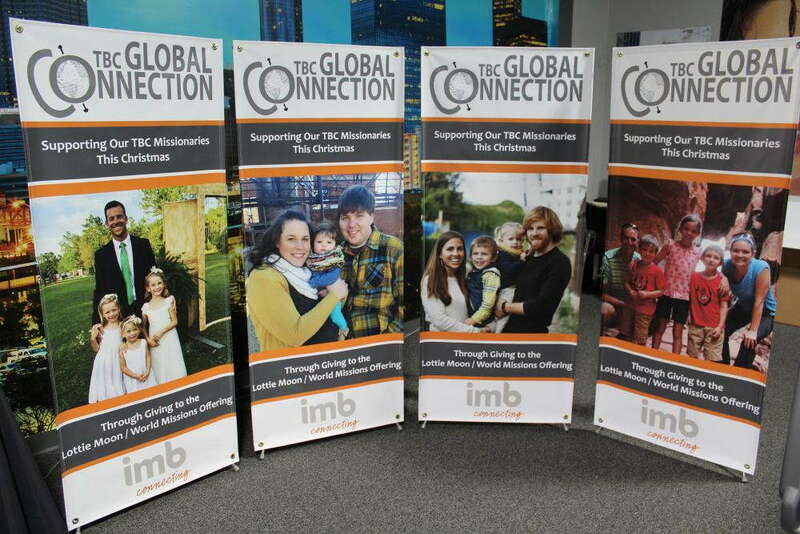 If you’re presenting at a lot of trade shows or using pop up displays, taking a scrim banner with you might be ideal. They’re easy to set up, display and take with you at the end of the day. Mesh banners are a great alternative for outdoor environments that are often exposed to gusty winds. Our mesh allows up to 70 percent air flow, meaning that even during thunderstorms, your banner won’t be tattered and torn. Another popular banner type is our black-out banner. Another great outdoor option, black-out banners keep the sun and any other light source from penetrating through their material. This feature means that if you’ve got a double-sided banner, you won’t have to worry about your guests being unable to read the sign, even in the harshest sunlight. Whether you choose to hang your banner by grommets or by a pole, it will be reinforced so that the hemming does not tear. These structures also allow you to take down and transport your marketing materials whenever you wish to better suit your branding needs. If you’re looking for some new color to add to your building signage, custom business banners may be the option for you! Contact us right away, and our skilled team will jump in on the design process. Let’s set up an appointment today!